skip to content | What is oturn? 'Secret Ballet' appears to be the easy-to-read autobiography of Jane Swallow, a (fictional) conservative politician. The book describes Jane's troubled private and family life, her creative ambitions, personal intrigues and affairs as well as her clumsy attempts at political mud-slinging and character assassination. The work's premise is the reconstruction of a shattered mastertext thought of as dispersed across the entire dictionary. By bringing together the then current topics and phrases, "Secret Ballet" reflects the totality of ideas and opinions of the late 60's, 70's and early 80's. 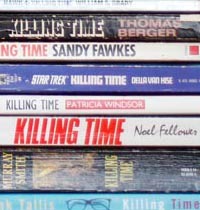 A novel based on (all) books titled 'Killing Time'. Photo composites, a composite text, a pixel drawing, etc. Photography: Here is how, etc. Where shall we go? how should I know?, etc. Anatolian large-pattern Holbein rug, etc. 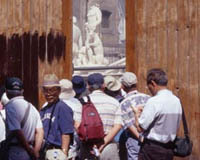 Photographs of Palermo + Monreale (tourism interfaces), etc.